2. 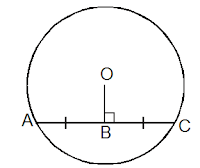 A chord makes an angle $\theta $ on the circumference, it always makes double the angle (2$\theta $) at the center. 3. 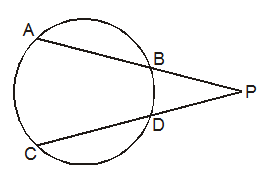 Two tangents drawn to a circle from an external point P are always equal. 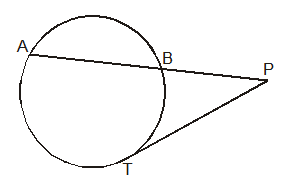 Also the circle radius makes right angle with the tangent. 4. 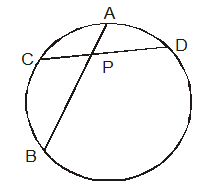 The angle made by a chord and tangent to the circle is equal to the angle made by the chord in the alternate segment. 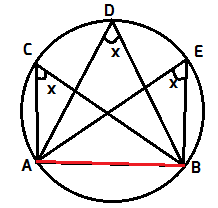 This is called the alternate segment theorem. 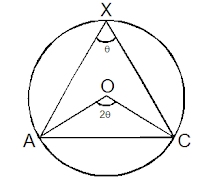 In this diagram, AP is a chord whcih makes angle x with the tangent and angle x in the alternate segment in the circle.